For other ships with the same name, see Californian (ship). SS Californian on the morning after Titanic sank. 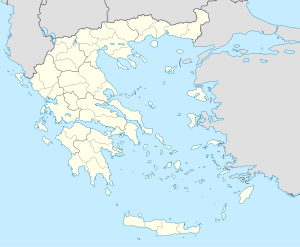 Fate: Sunk by German U-boat, 9 November 1915, 61 miles (98 km) southwest of Cape Matapan, Greece. craft carried: 6 (4 Lifeboats, 1 Gig and 1 Pinnace) with total capacity for 218 people. 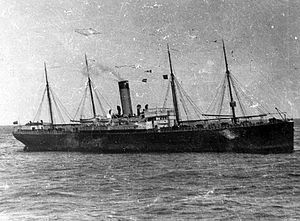 SS Californian was a British Leyland Line steamship that is best known for its inaction during the sinking of the RMS Titanic on 15 April 1912, despite being the closest ship in the area. The United States Senate inquiry and British Wreck Commissioner's inquiry into the sinking both concluded that the Californian could have saved many or all of the lives that were lost, had a prompt response been mounted to the Titanic's distress rockets. The U.S. Senate inquiry was particularly critical of the vessel's Captain, Stanley Lord, calling his inaction during the disaster "reprehensible". Despite this criticism, no formal charges were ever brought against Lord and his crew for their actions. Lord disputed the findings and would spend the rest of his life trying to clear his name. In 1992, the UK Government's Marine Accident Investigation Branch re-examined the case and while condemning the inaction of the Californian, also concluded that due to the limited time available, "the effect of Californian taking proper action would have been no more than to place on her the task actually carried out by Carpathia, that is the rescue of those who escaped... [no] reasonably probable action by Captain Lord could have led to a different outcome of the tragedy." Californian was later sunk on 9 November 1915, by the German submarine U-35, in the Eastern Mediterranean during World War I.
Californian was a British steamship owned by the Leyland Line, part of J.P. Morgan's International Mercantile Marine Co.. She was constructed by the Caledon Shipbuilding & Engineering Company in Dundee, Scotland, and was the largest ship built in Dundee up to that time. The ship was built to the maximum dimensions that were allowed to moor and outfit her in the Dundee Docks. The ship's size and importance to the local shipbuilding industry meant that there was a lot of local interest in her construction as it progressed. There were also some problems - When both of the ship's boilers were being transported through the streets from a foundry to the shipyard the weight of them (carried on a wheeled bogie) caused considerable damage to the city's roads, as well as breaking a number of underground water pipes. Later when a crane was being used to rig a spar on one of the Californian's four masts, the spar became tangled in nearby telephone wires and severed them. She was designed primarily to transport cotton, but also had the capacity to carry 47 passengers and 55 crew members. She measured 6,223 tons, was 447 feet (136 m) long, 53 feet (16 m) at her beam, and had a triple expansion steam engine powered by two double-ended boilers. Her average full speed was 12 knots (22 km/h). Californian was launched on 26 November 1901 and completed her sea trials on 23 January 1902. From 31 January 1902 to 3 March 1902, she made her maiden voyage from Dundee to New Orleans, Louisiana, United States. Between late-1911 and early-1912, Californian had a Marconi wireless apparatus installed in a refitted cabin. Her first radio operator was Cyril Furmstone Evans. Stanley Lord, who had commanded Californian since 27 March 1911, was her captain when she left the Royal Albert Dock, London, England on 5 April 1912 on her way to Boston, Massachusetts. She was not carrying any passengers on this voyage. On Sunday 14 April at 18:30 ship's time, Californian's only wireless operator, Cyril Furmstone Evans (born 1892 in Croydon, Surrey, United Kingdom), signalled to the Antillian that three large icebergs were five miles to the south. Titanic's wireless operator Harold Bride also received the warning and delivered it to the ship's bridge a few minutes later. Californian encountered a large ice field at 22:20 ship's time, and Captain Lord decided to stop the ship and wait until morning before proceeding further. Before leaving the bridge, he thought he saw a ship's light away to the eastward but could not be sure it was not just a rising star. Lord continued to the engineers' cabins and met with the chief, whom he told about his plans for stopping. As they were talking, they saw a ship's lights approaching. Lord asked Evans if he knew of any ships in the area, and Evans responded: "only the Titanic." Lord asked Evans to inform her that Californian was stopped and surrounded by ice. Lord ordered Evans to warn all other ships in the area, which he did. Titanic's on-duty wireless operator, Jack Phillips, was busy clearing a backlog of passengers' messages with the wireless station at Cape Race, Newfoundland, 800 miles (1,300 km) away, at the time. Evans' message that SS Californian was stopped and surrounded by ice, due to the relative proximity of the two ships, drowned out a separate message Phillips had been in the process of receiving from Cape Race, and he rebuked Evans: "Shut up, shut up! I am busy; I am working Cape Race!" Philips never passed this message to the bridge, but in his defence, Evans had not prefixed the message with the letters, "MSG," which stood for Master Service Gram, as was customary for all messages intended for the bridge. Evans, feeling that he had done what was asked of him despite Philips's rude apparent rejection of the message, then switched off his wireless equipment and went to bed. Ten minutes later, Titanic hit an iceberg. Twenty-five minutes after that, she transmitted her first distress call. Third Officer Charles Groves of the Californian testified to the British inquiry that at 23:10 ship's time, he had seen the lights of another ship come into view 10 or 12 miles away, 3.5 points above Californian's starboard beam. At about 23:30, Groves went below to inform Lord. The latter suggested that the ship be contacted by Morse lamp, which was tried, but no reply was seen. To Groves, she was clearly a large liner, as she had multiple decks brightly lit. The ship finally seemed to stop and extinguish her deck lights at 23:40, the same time Titanic stopped her engines. At the British inquiry, Groves agreed that if the ship he saw had turned two points to port, it would have concealed her deck lights. Slightly after midnight, Second Officer Herbert Stone took watch from Groves. He testified that he, too, observed the ship, judging it to be about five miles away. He tried signalling her with the Morse lamp, also without success. Apprentice officer James Gibson, who had been doing the Morse signalling, testified that at 00:55, Stone told him he had observed five rockets in the sky above the nearby ship. Stone testified that he had informed Captain Lord, although the British inquiry did not ask whether or not he communicated the number. Lord asked if the rockets had been a company signal, but Stone did not know. Lord and Stone both testified that Stone reported they were not distress signals. Lord ordered Stone to tell him if anything about the ship changed, to keep signaling it with the Morse lamp, but did not order that it be contacted by wireless. Gibson testified that Stone had expressed unease to him about the situation: "A ship is not going to fire rockets at sea for nothing," Stone said. "She looks very queer out of the water—her lights look queer." Gibson observed, "She looks rather to have a big side out of the water", and he agreed that "everything was not all right with her;" that it was "a case of some kind of distress." Stone, however, under questioning by the British inquiry which became more and more incredulous, testified repeatedly that he did not think at the time that the rockets could have been distress signals, and that the possibility did not occur to him until he learned the Titanic had sunk. By 02:00, the ship appeared to be leaving the area. A few minutes later, Gibson informed Captain Lord as such and that eight white rockets had been seen. Lord asked whether he was sure of the color. Gibson said yes and left. At 02:20, Titanic sank. At 03:40, Stone and Gibson, still sharing the middle watch, spotted rockets to the south. They did not see the ship that was firing them, but at about this same time RMS Carpathia was racing up from the southeast, firing rockets to let Titanic know that help was on the way. At 04:16, Chief Officer George F. Stewart relieved Stone, and almost immediately noticed, coming into view from the south, a brilliantly lit, four-masted steamship with one funnel; Carpathia arrived on the scene shortly after 04:00. Captain Lord woke up at 04:30 and went out on deck to decide how to proceed past the ice to the west. He sent Stewart to wake Evans and find out what happened to the ship they had seen to the south. They subsequently learned from the Frankfurt that the Titanic had sunk overnight. Lord ordered the ship underway. Californian's course took her west, slowly passing through the ice field, after which she turned south. Californian was sighted at 06:00 by SS Mount Temple steaming from the north. Californian actually passed the Carpathia to the east, then turned, and headed northeast back towards the rescue ship, arriving at 08:30. Carpathia was just finishing picking up the last of Titanic's survivors. After communicating with Californian, Carpathia left the area, leaving Californian to search for any other survivors. However, Californian only found scattered wreckage, empty lifeboats and corpses, and continued on its route to America. Upon arrival, several key crew members, including Lord and Evans, were summoned to give evidence at the American inquiry. Evans also gave evidence at the British inquiry into the tragedy. Like others involved in the disaster, he was offered a lot of money from newspapers for his story, but he refused it. As public knowledge grew of the Titanic disaster, questions soon arose about how the disaster occurred, as well as if and how it could have been prevented. A United States Senate inquiry into the sinking of the RMS Titanic started on April 19, 1912, the day Californian arrived unnoticed in Boston. Initially, the world was unaware of her and her part in the Titanic disaster. On April 22, the inquiry discovered that a ship near Titanic had failed to respond to the distress signals. The identity of the ship was unknown. The next day, a small newspaper in New England, The Clinton Daily Item, printed a shocking story claiming that Californian had refused aid to Titanic. The source for the story was Californian's carpenter, James McGregor, who stated that he had been close enough to see Titanic's lights and distress rockets. By sheer coincidence, on the same day, the Boston American printed a story sourced by Californian's assistant engineer, Ernest Gill, which essentially told the same story as the Daily Item. Captain Lord also spoke with Boston area newspapers. In a Boston Traveller article dated April 19, Lord claimed that his ship was 30 miles from Titanic, but in a Boston Post article dated April 24, he claimed 20 miles. He told the Boston Globe that his ship had spent three hours steaming around the wreck site trying to render assistance, but Third Officer Grove later stated that the search ended after two hours, at 10:40. When reporters asked Lord about his exact position the night of the disaster, he refused to respond, calling such information "state secrets". After the newspaper revelations on April 23, the U.S. Senate inquiry subpoenaed Gill, as well as Captain Lord, and others from Californian. During his testimony, Gill repeated his claims. Lord’s testimony was conflicting and changing. For example, he detailed three totally different ice conditions. He admitted knowing about the rockets (after telling Boston newspapers that his ship had not seen any rockets) but insisted that they were not distress rockets, and they were not fired from Titanic but a small steamship, the so-called “third ship” of the night. Yet the testimony of Captain J. Knapp, U.S. Navy, and a part of the Navy Hydrographer’s Office, made clear that Titanic and Californian were in sight of each other, and no third vessel had been in the area. The so-called "scrap log" of Californian also came under question. This is a log wherein all daily pertinent information is entered before being approved by the captain and entered into the official log. Company policy of International Mercantile Marine Co., the parent of both Leyland Line and the White Star Line, required scrap logs to be destroyed daily. The official log mentioned neither a nearby ship nor rockets. At the British inquiry, Stone was not asked to recall the notations he had actually written in the scrap log, during his bridge-watch between midnight and 4:00 on April 15. On 2 May, the British Court of Formal Investigation began. Again, Lord gave conflicting, changing, and evasive testimony. By way of contrast, Captain Arthur Rostron of Carpathia, at each inquiry, gave consistent and forthright testimony. It is significant that, during the British Inquiry, he was asked to confirm an affidavit he had made to the United States Inquiry. Among the other things in his affidavit, he confirmed that "It was daylight at about 4.20 a.m. At 5 o'clock it was light enough to see all around the horizon. We then saw two steamships to the northwards, perhaps 7 or 8 miles distant. Neither of them was Californian." During the inquiry, the crew of Californian, like Captain Lord, gave conflicting testimonies. Most notably, Lord said he was not told that the nearby ship had disappeared, contradicting testimony from James Gibson who said he reported it, and Lord had acknowledged him. Also during the inquiries, Titanic survivors recalled seeing the lights of another ship after Titanic had hit the iceberg. To Titanic's Fourth Officer Boxhall, the other ship appeared to be off Titanic's bow, five miles (8 km) away and heading in her direction. Just like Californian's officers, Boxhall attempted signaling the ship with a Morse lamp, but received no response. However, Titanic lookout Frederick Fleet, who was in the crow's nest when the iceberg was sighted and remained there for another forty minutes, testified at the US inquiry that he did not see the lights of another ship while in the crow's nest. He only saw a light later after leaving the ship on a lifeboat. Both the American and British inquires found that Californian must have been closer than the 19 1⁄2 miles (31.4 km) claimed by Captain Lord, and that each ship was visible from the other. Indeed, when Carpathia arrived at the wreck site, a vessel was clearly seen to the north; this was later identified as Californian. Both inquiries concluded that Captain Lord had failed to provide proper assistance to Titanic, the British Inquiry concluding further Californian's responding to Titanic's rockets and going to assist "...might have saved many if not all of the lives that were lost." In the months and years following the disaster, numerous preventive safety measures were enacted. The United States passed the Radio Act of 1912, which required 24-hour radio watch on all ships in case of an emergency. The first International Convention for the Safety of Life at Sea formed a treaty that also required 24–hour radio monitoring and standardized the use of distress rockets. Despite the criticisms of Lord's conduct, no formal charges were ever brought against him. As a result, he had no right of appeal against the inquiry's findings. The issue lay dormant for almost half a century, when the publication of Walter Lord's (unrelated to Captain Lord) book A Night to Remember in 1955 and the release of the 1958 film of the same name prompted Lord to seek a re-hearing of the Inquiry relating to his ship, to counter the allegations made in the book and his portrayal in the film. Petitions presented to the UK Government in 1965 and 1968 by the Mercantile Marine Service Association (MMSA), a union to which Captain Lord belonged, failed to get the matter re-examined. However, when the wreck of the Titanic was discovered by Ballard's expedition in 1985, it was found to be 13 miles from its reported position (the location accepted by both inquiries), so the Board of Trade ordered a re-examination. The British Government's Marine Accident Investigation Branch (MAIB) concluded its reappraisal of evidence in 1992. The conclusions were those of Deputy Chief Inspector, James de Coverly, stating: "What is significant, however, is that no ship was seen by the Titanic until well after the collision...watch was maintained with officers on the bridge and seamen in the crow’s nest, and with their ship in grave danger the lookout for another vessel which could come to their help must have been most anxious and keen. It is in my view inconceivable that the Californian or any other ship was within the visible horizon of the Titanic during that period; it equally follows that the Titanic can't have been within the Californian’s horizon." The report went on: "More probably, in my view, the ship seen by Californian was another, unidentified, vessel." The original investigator of the 1992 reappraisal was a Captain Barnett, who unlike de Coverly, concluded "that the Titanic was seen by the Californian and indeed kept under observation from 23:00 or soon after on April 14 until she sank...[based on] the evidence from Captain Lord and the two watch officers, Mr. Grove and Mr. Stone." It was after Barnett's original report was submitted that Captain de Coverly was given the task of further examination. Both Barnett and de Coverly had concluded that Titanic's rockets had been seen and that Stone and Lord had not responded appropriately to signals of distress. The 1992 MAIB report concluded that Captain Lord and his crew's actions "fell far short of what was needed". The report did concede that even if "proper action had been taken", Californian could not have arrived on the scene until "well after the sinking". It also noted that when he did know of Titanic's distress, Lord twice took his ship across an ice field to help search for survivors. Captain Lord's chief defender and union attorney, Leslie Harrison, who had led the fight to have the Californian incident re-examined by the British government, called the dual conclusions of the report "an admission of failure to achieve the purpose of the reappraisal." Author Paul Lee accused Captain Lord of an "inability or unwillingness to adjust to an entirely new situation." Although Lord had stopped his ship upon encountering ice, the British inquiry concluded that if Californian had acted upon the rockets and pushed through the ice, the Californian "might have saved many, if not all, of the lives that were lost". The U.S Senate inquiry was also critical of Lord's inaction, the final report stating that "such conduct, whether arising from indifference or gross carelessness, is most reprehensible, and places upon the commander the Californian a grave responsibility.". Senator William Alden Smith, in a speech to the U.S. Senate inquiry, said: "the failure of Capt. Lord to arouse the wireless operator on his ship, who could have easily ascertained the name of the vessel in distress and reached her in time to avert loss of life, places a tremendous responsibility upon this officer from which it will be very difficult for him to escape." Author Daniel Allen Butler wrote: "The crime of Stanley Lord was not that he may have ignored the Titanic’s rockets, but that he unquestionably ignored someone’s cry for help." Others have suggested that, considering all the circumstances, there was actually little if anything the Californian could have done to prevent or reduce the loss of life. Allegations have been made that trade unions defending Captain Lord succeeded in influencing the reports from the official investigations before they were available to the public. Williams and Kamps wrote in Titanic and the Californian: "Bearing [the] distance in mind, and recalling that a mere fifty-five minutes had elapsed from the time Captain Lord was first informed about the rockets to the moment the Titanic slipped beneath the waves, it would have been nothing short of a miracle for Lord to bring his ship to the Titanic and effect a rescue in such a short space of time." Titanic Historian Tim Maltin theorized that the Californian's inaction was the result of a cold water mirage, or Superior mirage, arising from differences in air temperature over the warmer waters of the Atlantic Ocean and the colder waters of the Labrador Current. Maltin's suggested that this would cause a superior refraction, superimposing and stretching and distorting the edge of the sea and lifting images of objects, distorting their appearance. This would explain why the Titanic's morse lamp was believed to be a flickering oil lamp on the mast of a much smaller ship, and why Capt. Lord thought the Titanic was a different vessel. If correct, Maltin's theory may further explain why the Titanic's lookouts did not spot the iceberg earlier. Cyril Evans continued his service with the Marconi's Wireless Telegraph Company and its successor companies (Eastern Telegraph Company and Cable & Wireless: the later part of his career was spent as manager for Cable and Wireless on the West Indian island of St Lucia) for the rest of his life. He also served at sea in World War I and World War II, running mobile telecommunications for the British Army in North Africa and then Italy. He married and raised a family. He died of a heart attack in 1959. In the film A Night to Remember, Evans was portrayed by Geoffrey Bayldon. Californian continued in normal commercial service until World War I, when the British government took control of her. On 9 November 1915, while en route from Salonica to Marseilles, she was torpedoed and sunk approximately 60 miles (50 nmi; 100 km) south-southwest of Cape Matapan, Greece by the German U-boat U-35, killing one person and injuring two others. To date, Californian's wreck remains undiscovered. The Californian went down less than 200 miles (170 nmi; 320 km) from the location where HMHS Britannic, Titanic's sister ship, would be sunk by a mine just over a year later. ^ "The SS Californian: The Ship That Watched Titanic Sink". ^ a b c d "Circumstances in Connection with the SS Californian". British Wreck Commissioner's Inquiry. 30 July 1912. Archived from the original on 6 May 2016. Retrieved 27 April 2016. ^ a b "United States Senate Inquiry Report: Pleas for Help; Steamship "Californian's" responsibility". Titanic Inquiry Project. 30 July 1912. Retrieved 28 April 2016. ^ "RMS "TITANIC" Reappraisal of Evidence Relating to SS "CALIFORNIAN"" (PDF). Marine Accident Investigation Branch. 2 April 1992. p. 18. Retrieved 25 January 2018. ^ Wright, Jerry (2011). "Some Dundee Ships". Friends of Dundee City Archives. Retrieved 29 April 2016. ^ "Testimony of Cyril F. Evans". Titanic Inquiry Project. Retrieved 28 April 2016. [the ice warning] is dated 6.30 p. m. "A.T.S." which means apparent time ship...The sent date was 5.35 p.m., New York time. ^ "Testimony of Harold S. Bride, recalled". Titanic Inquiry Project. Retrieved 29 April 2016. (The Attorney General. ): Could you tell us how long it was after you got the message that you delivered it on the bridge? Bride: About two minutes. ^ a b c "Testimony of Stanley Lord, cont". Titanic Inquiry Project. Retrieved 29 April 2016. When I came off the bridge, at half-past 10, I pointed out to the officer that I thought I saw a light coming along, and it was a most peculiar light, and we had been making mistakes all along with the stars, thinking they were signals...He said he thought it was a star, and I did not say anything more. ^ "Testimony of Stanley Lord". Titanic Inquiry Project. Retrieved 29 April 2016. I said, "Let the 'Titanic' know that we are stopped, surrounded by ice." ^ "Acquitting the Iceberg". Encyclopedia Titanica. Retrieved 27 April 2016. Phillips was tired and on edge and Cyril Evans’ call burst in on him like a thunderclap; so loud, we are assured, it hurt his ears. ^ "Testimony of Cyril F. Evans". Titanic Inquiry Project. Retrieved 5 May 2016. At 11.25 I still had the phones on my ears and heard him still working Cape Race, about two or three minutes before the half hour ship's time, that was, and at 11.35 I put the phones down and took off my clothes and turned in. ^ a b "Testimony of Charles V. Groves". Titanic Inquiry Project. Retrieved 28 April 2016. ^ "Testimony of Stanley Lord, cont". Titanic Inquiry Project. Retrieved 27 April 2016. We signaled her, at half-past 11, with the Morse lamp. She did not take the slightest notice of it. ^ a b "Testimony of Herbert Stone". Titanic Inquiry Project. Retrieved 29 April 2016. ^ a b c d e "Testimony of James Gibson". Titanic Inquiry Project. Retrieved 27 April 2016. ^ "Testimony of James Gibson, cont". Titanic Inquiry Project. Retrieved 27 April 2016. ^ "Testimony of Herbert Stone, cont". Titanic Inquiry Project. Retrieved 29 April 2016. ^ "Testimony of George F. Stewart". Titanic Inquiry Project. Retrieved 29 April 2016. ^ "Electronic copies of the inquiries into the disaster". Titanic Inquiry Project. Retrieved 29 April 2016. ^ "Testimony of George F. Stewart, cont". Titanic Inquiry Project. Retrieved 29 April 2016. ^ Clarke, Jim (11 April 2012). "History judges Titanic captains". BBC News. Retrieved 19 January 2018. ^ Lee, Paul (2008). The Titanic and the Indifferent Stranger. Paul Lee. pp. 15–18. ^ a b Lee, Paul (2008). The Titanic and the Indifferent Stranger. Paul Lee. p. 180. ^ a b Lee, Paul (2008). The Titanic and the Indifferent Stranger. Paul Lee. p. 13. ^ Lee, Paul (2008). The Titanic and the Indifferent Stranger. Paul Lee. p. 22. ^ "Testimony of Charles V. Groves". Titanic Inquiry Project. Retrieved 3 May 2016. ^ Hamer, John (2013). "RMS Olympic". Rossendale Books. p. 253. ISBN 978-1-291-63862-2. Retrieved 28 April 2016. ^ "Testimony of Ernest Gill". Titanic Inquiry Project. Retrieved 27 April 2016. ^ "Testimony of Stanley Lord, cont". Titanic Inquiry Project. Retrieved 27 April 2016. Senator SMITH: Captain, did you see any distress signals on Sunday night, either rockets or the Morse signals? Mr. LORD: No sir; I did not. The officer on watch saw some signals, but he said they were not distress signals. ^ "Testimony of John J. Knapp". Titanic Inquiry Project. Retrieved 27 April 2016. ^ Molony, Senan (2006). Titanic and the Mystery Ship. The History Press. p. 278. ^ "Testimony of Arthur H. Rostron". Titanic Inquiry Project. Retrieved 27 April 2016. ^ "Testimony of Joseph G. Boxhall". Titanic Inquiry Project. Retrieved 27 April 2016. ^ "Testimony of Frederick Fleet". Titanic Inquiry Project. Retrieved 27 April 2016. ^ Bartlett, W.B. (2010). 9 Hours to Hell, the Survivors' Story. Amberly. ISBN 9781848684225. ^ Butler, Daniel Allen (26 May 2009). "The Other Side of the Night". Casemate. p. 186. Retrieved 27 April 2016. "There was another vessel within sight of the Carpathia, facing to the west, north of where the Titanic's lifeboats waited, but clearly within visual distance of where the Titanic sank. It was the Californian. ^ "RMS "TITANIC" Reappraisal of Evidence Relating to SS "CALIFORNIAN"" (PDF). Marine Accident Investigation Branch. 2 April 1992. p. 1. Retrieved 27 April 2016. ^ "RMS "TITANIC" Reappraisal of Evidence Relating to SS "CALIFORNIAN"" (PDF). Marine Accident Investigation Branch. 2 April 1992. p. 2. Retrieved 27 April 2016. ^ a b "RMS "TITANIC" Reappraisal of Evidence Relating to SS "CALIFORNIAN"" (PDF). Marine Accident Investigation Branch. 2 April 1992. p. 12. Retrieved 27 April 2016. ^ "RMS "TITANIC" Reappraisal of Evidence Relating to SS "CALIFORNIAN"" (PDF). Marine Accident Investigation Branch. 2 April 1992. p. 15. Retrieved 27 April 2016. ^ "RMS "TITANIC" Reappraisal of Evidence Relating to SS "CALIFORNIAN"" (PDF). Marine Accident Investigation Branch. 2 April 1992. p. 16. Retrieved 25 January 2018. ^ "Speech of Senator William Alden Smith, cont". United States Senate Inquiry. Retrieved 27 April 2016. ^ Butler, Daniel Allen (26 May 2009). "The Other Side of the Night". Casemate. p. 199. Retrieved 27 April 2016. ^ Butler, Daniel Allen (2011). "Unsinkable: The Full Story". Frontline Books. p. 241. Retrieved 28 April 2016. ^ Williams, Thomas; Kamps, Rob (2007). "Titanic and the Californian". The History Press. p. 98. Retrieved 27 April 2016. ^ Tennent, A.J (2006). "British Merchant Ships Sunk by U-boats in World War One". Periscope Publishing. p. 153. Retrieved 27 April 2016. "Caledon Built - Dundee Ships" (PDF). Friends of Dundee City Archives. Friends of Dundee. Retrieved 28 April 2015. Lord, Walter (1955). A Night to Remember (2005 ed.). New York, New York: St. Martin's Griffin. ISBN 978-0-8050-7764-3. MAIB. Titanic: Reappraisal of Evidence (PDF). Tennent, A.J. (2006). British Merchant Ships Sunk by U-boats in World War One. Cornwall, U.K.: Periscope Publishing. ISBN 978-1-904381-36-5. Lee, Paul (2008). The Titanic and the Indifferent Stranger. Paul Lee. p. 18. ISBN 978-0-9563015-0-5. Butler, Daniel Allen. The Other Side of the Night. Casemate, 2009. Lee, Paul. The Indifferent Stranger, electronic book, 2008. Eaton, John P. and Haas, Charles A. Titanic: Triumph and Tragedy (2nd ed.). New York: W. W. Norton & Company, 1995. Lord, Walter. The Night Lives On. Morrow and Company, 1986. Lynch, Donald and Marschall, Ken. Titanic: An Illustrated History. Hyperion, 1995. Molony, Senan. Titanic and the Mystery Ship. Tempus Publishing, 2006. Padfield, Peter. The Titanic and the Californian. The John Day Company, 1965. Reade, Leslie. The Ship That Stood Still: The Californian and Her Mysterious Role in the Titanic Disaster. W. W. Norton & Co Inc, 1993. This page was last edited on 29 March 2019, at 15:22 (UTC).